Dinner at Jade Dragon in Macau. 2005 Kistler Chardonnay Stone Flat Vineyard - the toasty nose was very overpowering, to the point it smelled like burnt charcoal, so we had the wine decanted. Things got a little bit better afterwards, but remained heavily toasted. Ripe on the palate. 2007 Lucien Le Moine Clos Saint Denis - double-decanted. A little lighter on the palate than I expected. After 1½ hours the nose really opened up to reveal lots of sweet fruit. This drank reasonably well. 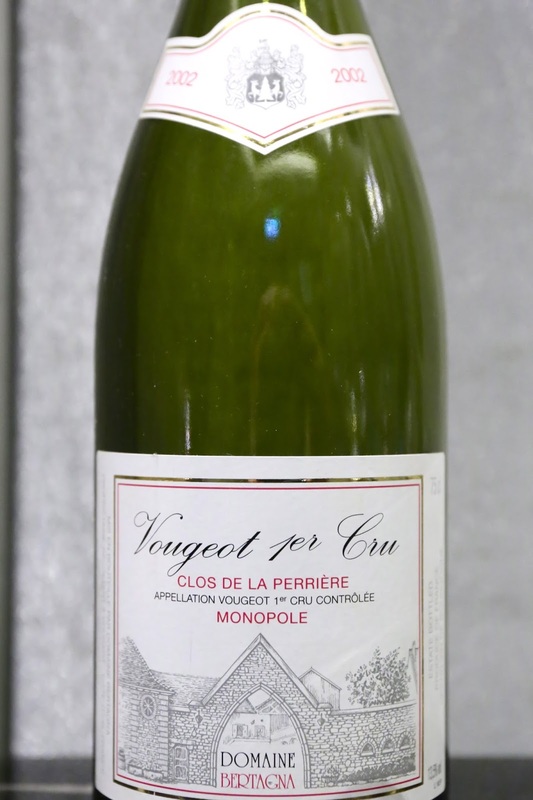 2002 Bertagna Vougeot 1er Cru Clos de la Perrière - this had been shaken around earlier in the day, so it wasn't a surprise that it didn't show very well. This was also a little more tannic after shaking, and frankly pretty one-dimensional. 1988 Suduiraut - the nose was surprisingly a little smoky at first, with some burnt rubber notes alongside some plastic and acetone. Palate was not as sweet as expected. After more aeration I found honey and a little nutty notes in the nose.